My mom’s a huge fan of cheese popcorn, specifically SmartFood. Since my dad got his snickerdoodles, I thought I’d give her request a shot too. To start, melt your coconut oil in a large stock pot. Once hot and crackling, add your kernels. After a few seconds, they should start popping. Allow to pop over medium-low heat until the kernels are popping on intervals of more than three seconds apart. Remove from heat and toss with the salt. In a small sauce pan, melt your butter. 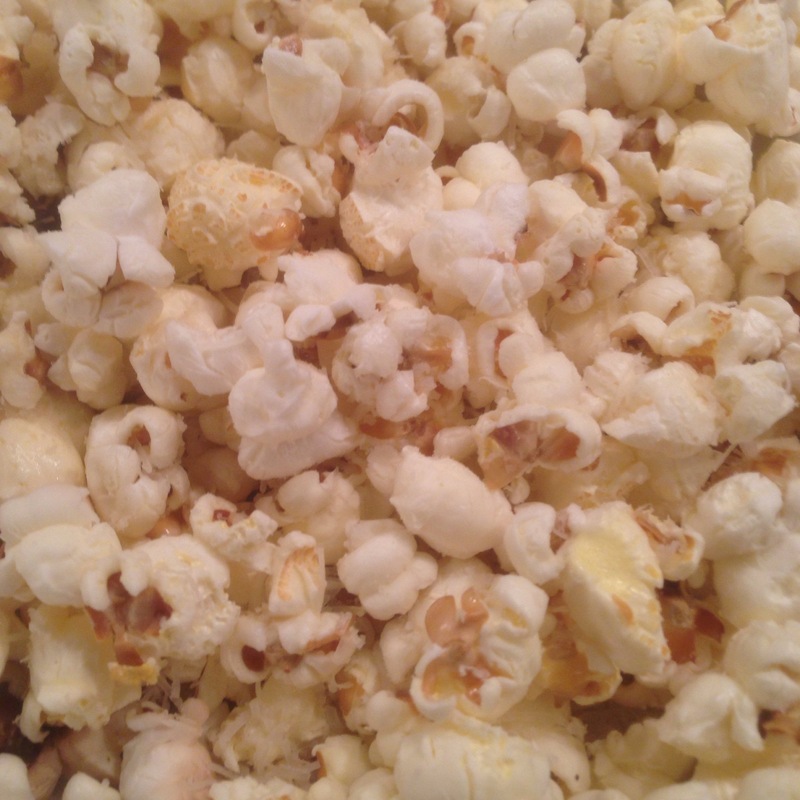 Put the popcorn in a bowl and drizzle with butter and cheese. Mix well until evenly coated. And that’s it!